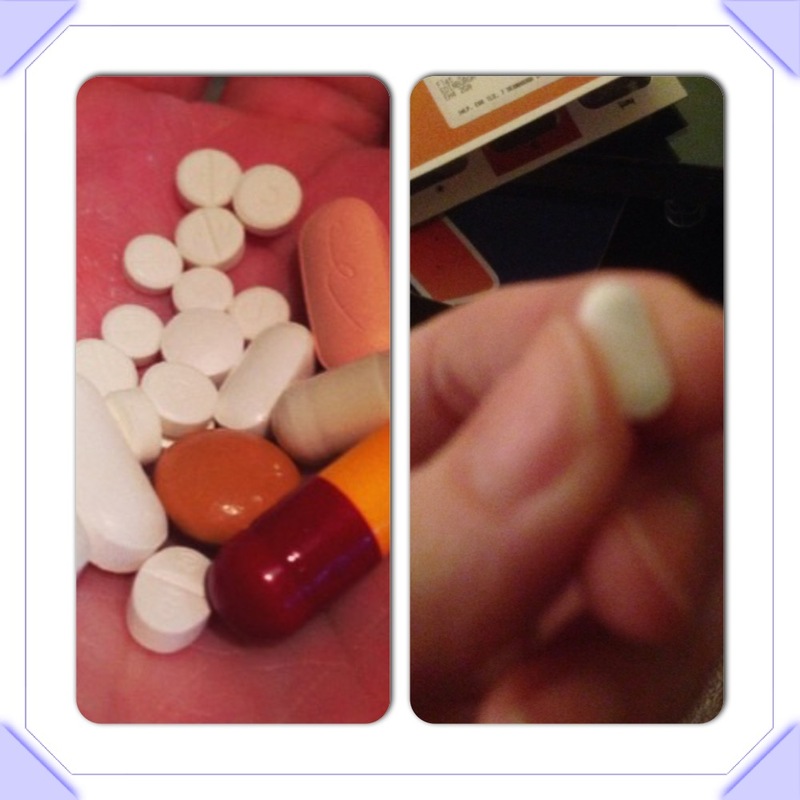 The picture on the left is all the tablets I take first thing in the morning when I get up. Other than the prednisilone the next smallest is the tablet pictured on the right. Its my Theophylline. At one point about 8 years ago I thought this was my wonder drug. I had a fairly stable patch when I first started taking it. As I started losing control I was in hospital more requiring IV aminophylline (an intravenous version of theophylline but all from the same family). It works great but has its problems, the biggest one is weaning off and back onto oral medication. One of the other issues I am having with it just now is establishing a therapeutic dose. Over the last year my theophylline serum level has always been towards the lower end of the therapeutic range and sometimes dipping under. I have tried increasing the dose but then I end up with horrendous effects from toxicity because my serum level is way above therapeutic range. The feeling of nausea, vertigo, dizziness and uncontrollable thirst is torture and there is no quick fix to get rid of it. The tablets are MR (modified release) over 12 hours so your level will only drop very slowly over time. It takes about 2-3 weeks for theophylline to build up in your system to achieve a therapeutic dose so it is just as long to reverse it. I would normally just chuck all my tablets in my mouth and wash them down with a glass of water or a vitamin C drink but recently I have found I fish out my theophylline and have to almost pluck up the courage to take it because of how it is making me feel sometimes. It works so well on my chest that it is worth taking it but when things are just not quite right and the side effects are bad it is hard to make yourself swallow it down. You would not think such a small innocuous tablet could make you feel the way it does. It seems to be the smaller the tablet the more potent it and its side effects are. Between theophylline and prednisilone Im not sure what is worse but what I do know is that both of them do work wonders and do fantastic things to my chest. I guess the point of this post is that no matter how hard it is to make medication as long as you get the benefits from it then its worth having the side effects. I know I would be much worse off if I didnt take it but somedays the side effects are just so strong you wonder if it is worth it. The beauty with modern day medication is that there are other medications you can take to counter act the side effects. You can end up in a bit of a polypharmacy and taking so much medication you don’t know what is for what, but as long as you remember or write down why you take each thing and check regularly with a GP or pharmacist to make sure you still need the extra meds then you won’t be taking stuff you don’t need to. By doing this I have recently managed to cut out a good few tablets which I didnt really know what they were for or what they were doing but the bulk of my medication I now what it is for and why I take it and how it effects me if I don’t take it. Its tough sometimes but for me I far prefer dealing with side effects and taking extra meds for it compared with fighting for breath all day everyday and being totally limited in what I can do. Theophylline gives me some more breath back and some control!! !